Earlier this month, Judge Hilton of the Eastern District of Virginia tossed claims against Tysons Law Group, Vienna Law Group, and affiliated attorneys for “vicarious liability” and “negligent hiring, retention and supervision.” Virginia does not recognize an independent cause of action for vicarious liability or negligent supervision. While it does recognize negligent hiring and negligent retention as actionable torts, a plaintiff cannot pursue such claims without alleging a physical injury. The plaintiff in this particular case failed to do that, so the claims were dismissed. The plaintiff hired Vienna Law Group for immigration related services. Michael Oveysi worked for Vienna Law Group, supervised by Ronald Coleman. According to the plaintiff’s contentions, Oveysi advised him to transfer investment funds and legal fees totaling $566,000 to a bank account that Oveysi controlled. Oveysi, he claims, then made off with the money. The complaint alleges that Oveysi was not subjected to a background investigation prior to his employment and that a background check would have revealed Oveysi’s financial problems. That plaintiff argued that it was negligent to allow Oveysi to work with clients and their money under these circumstances. The defendants moved to dismiss. In Virginia, vicarious liability is a theory of liability rather than a separate cause of action. The court noted that the purpose of pleading is to facilitate a proper decision on the merits rather than to multiply the causes of action. Here, the theory of vicarious liability was addressed in another claim. Accordingly, the court found the separate claim for vicarious liability was improper and dismissed it. Although parties can sometimes demonstrate both breach of contract and a tortious breach of duty, the duty in such cases must arise separate from the contractual duty, and negligent performance of a contract cannot form the basis for a tort claim. The United States District Court for the Western District of Virginia emphasized this point in American Legion John Radcliff Post 164 v. BB&T Corporation. Debra Horn was president of the American Legion Ladies Auxiliary Unit 164. Her husband, Mack Horn, was a member of American Legion John Ratcliff Post 164. Over the course of a year, the Horns made several transactions, including writing checks, making expenditures and withdrawals and closing accounts that Post 164 did not authorize. Specifically, Post 164 had a Certificate of Deposit with BB&T Bank. Without the Post’s permission, BB&T allowed Mr. Horn to withdraw $15,447.15 from the CD and Mrs. Horn to withdraw $29,975 and to close the CD by withdrawing $49,975. BB&T processed a deposit of $49,975 to a checking account in Post 164’s name and a check in the amount of $35,000 from Post 164’s checking account into an account that the Horns controlled. The Horns used the funds for their own personal benefit. Post 164 sued BB&T for breach of contract, negligence, and breach of fiduciary duties. The complaint also contained a claim entitled “Statutory Claim” and asked for punitive damages. BB&T argued that the action was essentially a breach of contract claim and asked that all the other claims be dismissed. BB&T also asked the court to strike Post 164’s claim for punitive damages. A Swedish law firm has failed in its effort to sue a director of a former client for “misrepresentation” in Virginia federal court after the court ruled the claim was barred by Virginia’s two-year statute of limitations applicable to negligence claims. The law firm had conceded that it would be unable to maintain a cause of action for fraud under the laws of Virginia, and the court opted to analyze the viability of the claim as a negligence action. The law firm, Andersson Gustafsson Advokatbyra KB, sued eSCRUB Systems, Inc., a Virginia company, and three people associated with the company, claiming that eSCRUB had failed to pay the firm’s legal bills after it hired the law firm in 2007 to help it resolve a dispute. The law firm alleged that John Packard, a former director of eSCRUB, committed fraud in that he breached a “continuing obligation to notify Andersson of the risks of non-payment it ran in performing services for eSCRUB.” The allegation was essentially that Packard was part of a scheme to induce the law firm to provide legal services to eSCRUB with the full knowledge that the company would never pay the firm’s legal fees. In Virginia, negligence claims carry a two-year statute of limitations. Virginia follows the general rule that the event that starts the limitations clock ticking is the negligent act itself. There is no “discovery exception” that starts the clock at a later date, such as the date the plaintiff actually discovers that the alleged negligence occurred or that he has been damaged. Statutes of limitation can expire before a potential plaintiff even learns of the grounds for a lawsuit. The United States Supreme Court recently held that a foreign manufacturer that places a product into the stream of commerce in the United States does not automatically subject itself to jurisdiction in each of the states where the product might foreseeably end up. Relying on this decision, a Roanoke Circuit Court judge has dismissed a Japanese manufacturing company from a product-liability case brought against it in Virginia. Janet May was employed by Progress Press in 2006 and was operating a stitching machine made by Osako & Co., a Japanese company. She alleged that she was injured because the machine had an improper conveyor belt. She sued Osako and others for negligence and breach of warranty. Osako sold its products in the United States through Consolidated International Corp., its exclusive distributor, which was a company independent of Osako. Osako knew that its products would be sold in the United States generally and made some product changes for the U.S. market but did not take any actions to specifically target Virginia. Osako has no physical locations in the United States. On these facts, Osako moved to dismiss May’s suit for lack of jurisdiction. A highly sensational case filed recently against the prestigious Sidwell Friends School in Washington, D.C., may end up raising interesting legal questions about the responsibility of private schools to supervise the actions of their school psychologists. In the $10 million civil suit filed in D.C. Superior Court, Arthur Newmyer, father of a kindergarten student at Sidwell, alleges that Jack Huntington, while working as the school psychologist and counseling Newmyer’s daughter, carried on a sexual affair with Newmyer’s wife, Tara, a former associate attorney at Dickstein Shapiro LLP, a large Washington law firm. So far, at least three judges have recused themselves from the case, apparently due to their close ties to the prestigious institution. Earlier this year, Huntington left the school. The lawsuit contends that he was fired after the school learned about sexually explicit e-mails that Huntington sent to Tara Newmyer from the school’s computer system. According to the complaint, Huntington and Tara Newmyer arranged “play dates” for the girl so that they could meet and carry on their clandestine affair. The counseling sessions, the complaint says, occurred off school property. 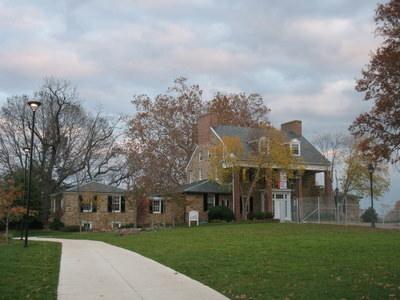 A spokesman for Sidwell has said that the school will “vigorously defend” itself against allegations that he said were “completely without merit.” The explosive allegations in the lawsuit filed by Arthur Newmyer, himself a Sidwell graduate who has been extremely active in supporting the school over the years, have become a major topic of discussion at the private school, whose students include President Obama’s daughters Malia and Sasha. As reported in the Washington Post, a jury trial in Fairfax County, Virginia, resulted in an award of $3.2 million in damages to a 36-year-old Arlington resident who was injured while shopping at IKEA’s Potomac Mills store. On July 28, 2006, as the shopper stopped near the store’s exit to inspect the bargain bin, a display of countertops weighing over 350 pounds came crashing down on her, crushing her pelvis. Personal injury lawsuits based on theories of premises liability do not typically involve damages awards involving millions of dollars, especially in the conservative jurisdiction of Fairfax County, Virginia. In 2008, for example, only 15 jury verdicts across the entire Commonwealth of Virginia were for one million dollars or more. In this particular case, however, the jury was moved by the fact that the shopper was an athlete who frequently traveled to China, Europe, and across the United States to pursue hiking, biking, and climbing activities. Since the accident, she can only walk about three blocks before the pain becomes unbearable. In other words, IKEA’s negligence resulted in effectively terminating her athletic pursuits and the joy she derived therefrom. The jury decided to compensate her for this pain and suffering. Business that invite customers to shop at their retail stores need to take precautions to ensure the safety of their shoppers. An injured patron will generally have grounds to sue the business if the patron is injured by falling merchandise and the patron did not cause the objects to fall. This would be true regardless of whether the business owner is guilty of active negligence or simply allowed a known dangerous condition to exist on the premises without taking steps to protect the store’s customers.